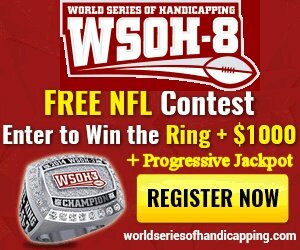 computer generated data that helps you win more money. Raymond Report NBA Playoffs preview on today’s game #4 Basketball contest between the Portland Trailblazers and Russell Westbrook’s Oklahoma City Thunder for Sunday, April 21st, 2019…. For players who aim on becoming a successful sports bettor, ATS Stats is a sports betting stats provider that focuses on providing online sports betting odds for players who enjoy betting against the spread. ATS Stats is a sports betting stats sites providing many different analytical data and sports betting tips for players who are looking to bet online with their favorite sportsbook. If you enjoy betting against the spread, then you need the best sports betting tips and stats to beat your sportsbook. For the beginners, whether you are betting the point spread, futures or puck lines, learning about sports betting odds should be one of your prime focuses. At ATS Stats, one of our main features at the site is the 80% club stats, where we take the top online football betting stats and put them on one page for players to have access. In fact, one of our most popular feature "ATS Forecast" generates football betting predictions based on past game situations which relates to current matchup between the Favorites and Underdogs. ATS Stats is the one stop shop for all the kind of research you want to do with online sports handicapping and point spread odds. Explore our website and better your chances of emerging a winner. We do have a blog section that can help you learn about wagering online or sports gambling in general. Some of our main features include: Free Picks, ATS Forecast, NBA Matchups, 80% Club Stats, Streaks, S.O.S Club, PVI Rating and the ever popular Raymond Report.